If you need something to relax with after a stressful day, or just to entertain your mind we at KiddyCharts have something just for you. 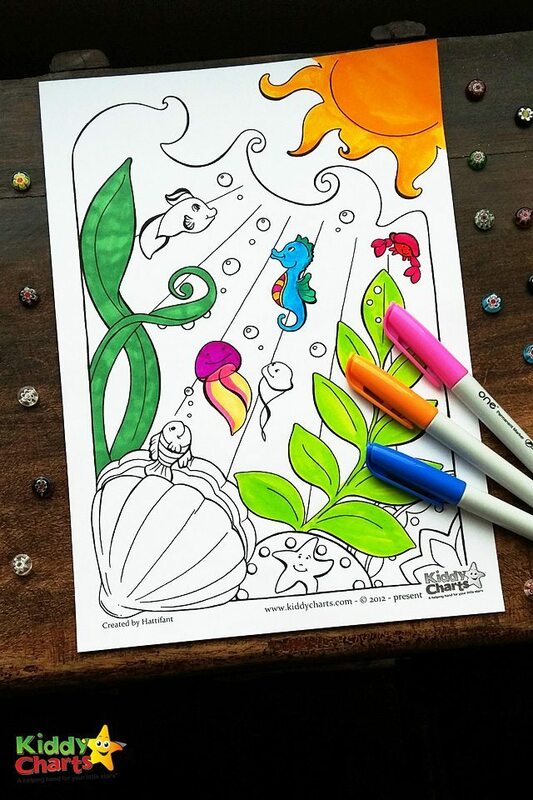 These ocean coloring pages for kids and adults is yet another wonderful creation in our series of mindful colouring pictures. 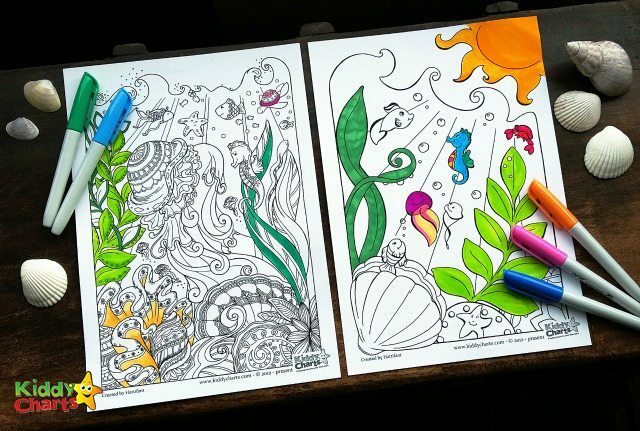 The set has an easy colouring page for the kids, and one more intricate for grown ups to enjoy together. This time around the theme is the ocean and it’s colourful creatures. The two colouring pages were created by Hattifant, both designs equally lovely and wonderful as usual. Be sure to download them now, so you’ll have them handy for the next mindful session with your child. 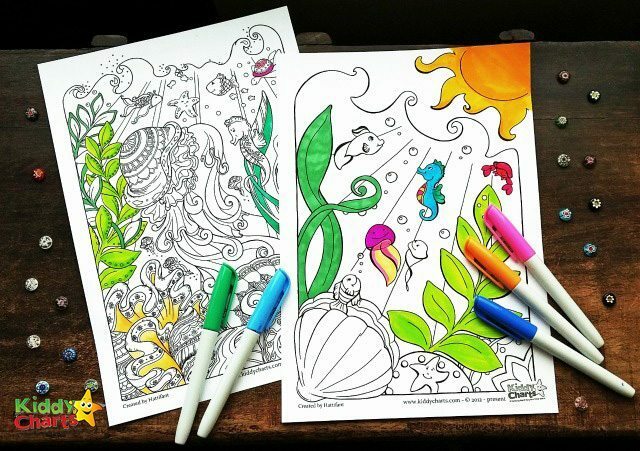 Colouring is a great way to relax, both for kids and adults, and it only takes a couple of ten minutes a day to colour the stress away. 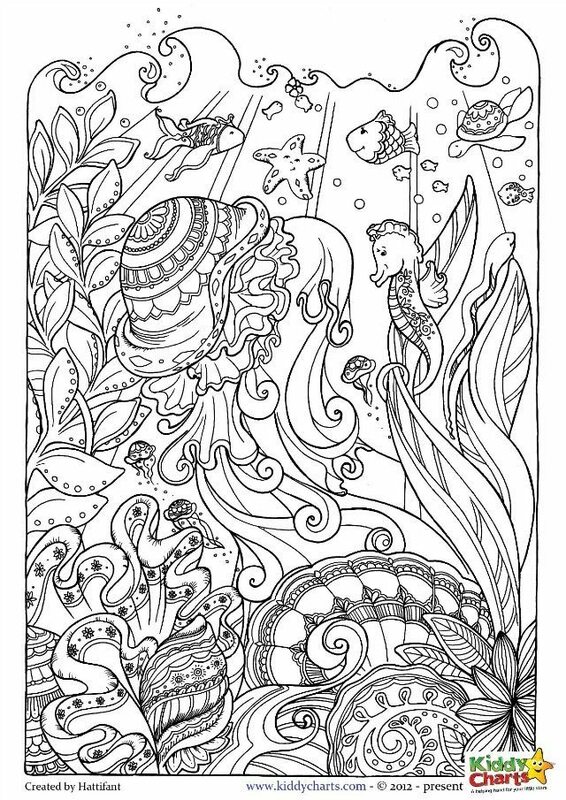 This adult colouring page features lots of wonderful details, from the swirly jellyfish to the beautifully decorated seashells just waiting to shine in their new colours. Fine details on this page just call for golden or metallic accents from gel pens, wouldn’t you agree? We certainty would love to see how you colour this one in. 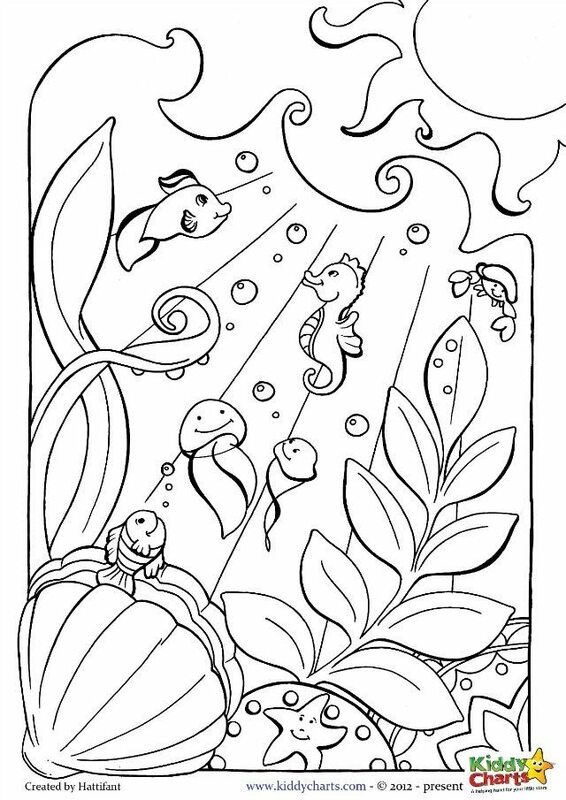 The ocean colouring page for kids is a little less detailed, but no less delightful. It does leave more room for the little ones to really get creative and maybe even add details of their own to the image though. Need more colouring? We have loads of other colouring on the site, so why not check this out too? 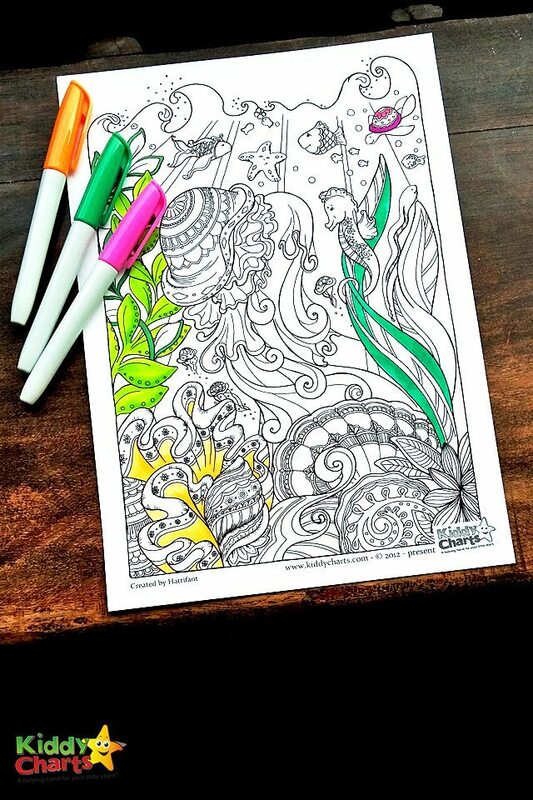 A booklet of travel colouring for adults to get you in the mood for moving! Hope you love these pages, and do share them on Twitter, Facebook and Pinterest if you do so we can spread the love.